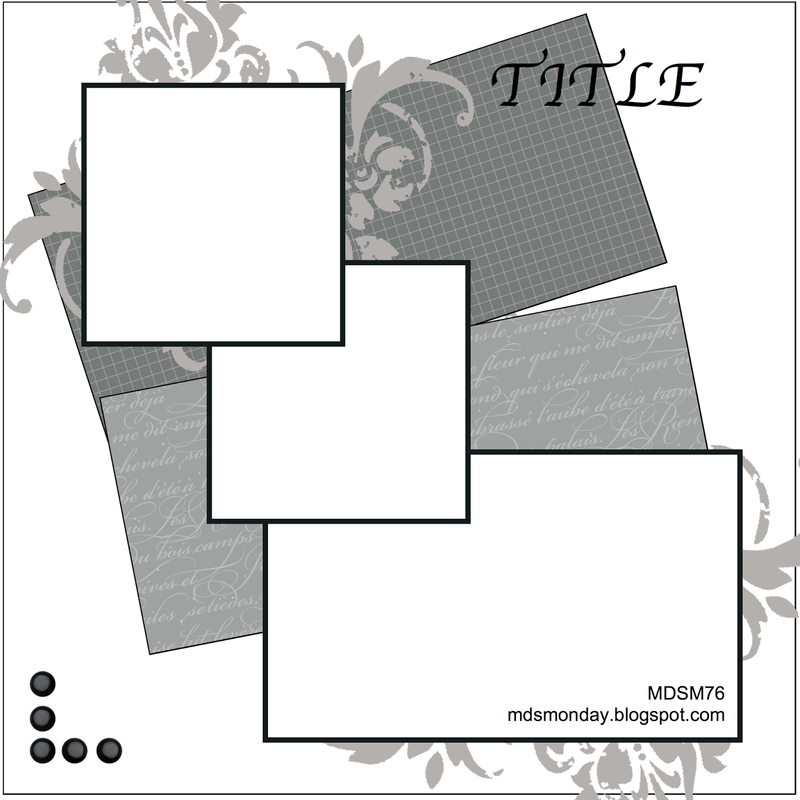 GOTTA STAMP WITH SUZANNE JOHNSON: MDS MONDAY - A NEW CHALLENGE! The MDS Monday blog team posts a new challenge every Monday and anyone can play! Here is the new sketch, which is all about layers, layers, layers! This was so much fun to create! I LOVE layers, especially so after I learned how to use the layering tool (yes, I can teach you!). My DSPs are all from Botanical Gazette, one of my favorites. However, I did recolor the birdcage pattern rectangle from blue to green. 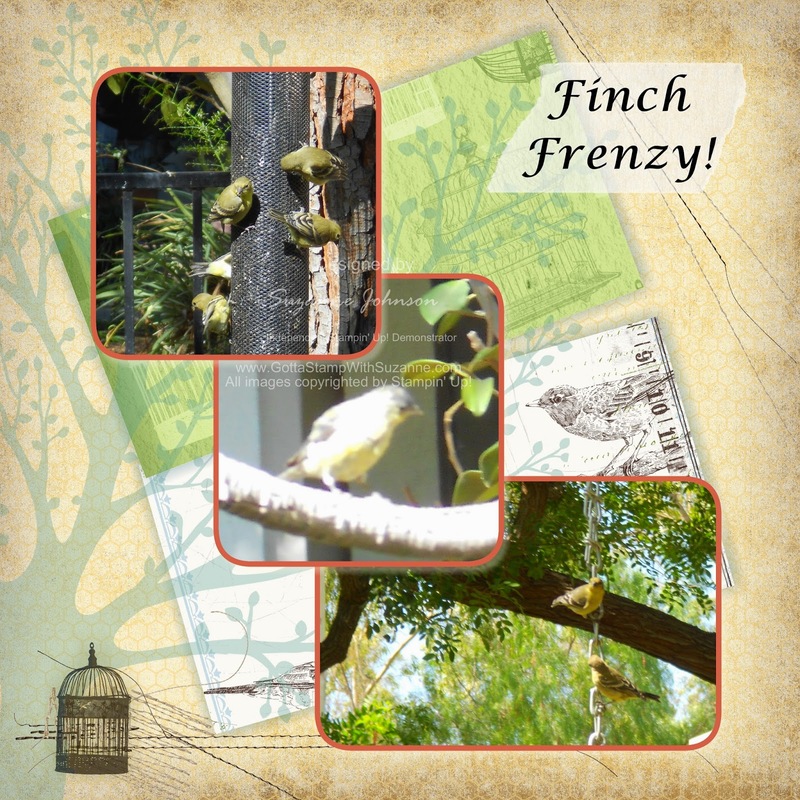 I chose the finch theme because I am so excited to see all the finches coming to the feeder at my mother's house, and they really do go crazy when it is full of seeds! The tree stamp is from "Forever Young" and I cropped it, and reduced the opacity to make it transparent so the DSPs and textures show through. I used a bunch of different "mis-stitched" embellishments in the corners and added the birdcage stamp from the "Nature" stampbrush set. The title text is layered onto a piece of transparent Delightful Digital Tape. Love your page, Suzanne. I love your title on the little piece of tape - I haven't done that before - gotta remember it! I also love the papers you've chosen - one of my favourites too. And I love love love all the stitching behind the little bird cage! Thanks for playing with us at MDS Monday and for the inspiration! What expert use of layering! I've always loved Botanical Gazette, and it looks perfect with the stamp images. Thanks for joining MDS Monday this week.